Home How A Lead Acid Battery Works? How A Lead Acid Battery Works? Lead acid was considered as the first rechargeable battery available for commercial use, and it was invented in 1859 by Gaston Planté, a French physician. Furthermore, this type of battery is still widely used and popular even today. Well, there might be some good reasons why it’s still on the market today, right? 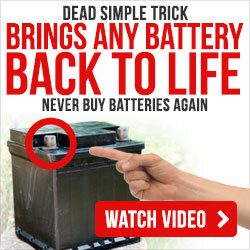 But how a lead battery acid works? Before we talk about how it really works, let’s tackle the pros and cons why lead battery acids are still popular and used today. • Obtainable in different sizes and shapes. • Lead acid battery doesn’t require any maintenance, which will allow you to save more than to spend more. • Nothing will go to waste: 97% of lead are reusable and recyclable. • Depending on a cost-per-watt base, this type of battery is inexpensive and at the same time dependable. • In terms of working capabilities and reliabilities, it is the best. • Lead battery acid provides enough bulk power, making it one of the best type of batteries for automobiles, forklifts, golf cars, etc. • It performs well even at low and high temperature, and has a long life cycle. • In comparison to alternative elements, lead is quite heavier. • To avoid sulfation, it is required to be kept in charged condition. • It is not that good to our environment. 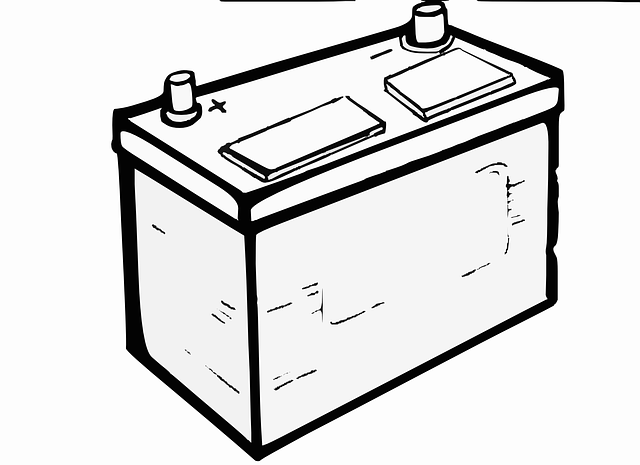 • Lead acid battery can only be charged slowly – it usually takes 14 to 16 hours (fully saturated charge). • Its cycle life is limited, and repeated deep cycling can lessen battery life from time to time. • Weight to energy ratio is poor – lead acid battery has a low specific energy. There you have the pros and cons of lead battery acid. Now, let’s now get back to the main topic: How does it really work? Pure lead is undoubtedly too soft. Since it is too soft, it is unable to support itself, and this is the reason why other metals are added not only to provide mechanical strength, but also to help improve electrical properties. Moreover, these batteries are commonly known as “lead calcium” and “lead antimony”. But what are these additives for? Well, tin and antimony increases deep cycling. Although they helps improve deep cycling, it increases the water consumption and as well heightens the need to equalize. Furthermore, calcium is added to minimize self-discharge, but when overcharged, it has a side effect of growing because of grid oxidation. Well, lead acid battery is heavy. And in fact, it is less durable than lithium and nickel-based systems, especially when deep cycled. Moreover, a full discharge can permanently affect the life of the lead battery acid. This causes it to strain and lose a small amount of capacity from time to time. It may take some time and repeated discharge before the power of a lead acid battery is reduced, particularly if it’s regularly in a good condition. Unfortunately, the capacity will fade over time – and that is unavoidable. These things may affect and potentially shorten a lead acid battery life. To simply put, these factors can speed up the aging of a lead battery acid. Recommend you to read this article about how to recondition lead acid battery! It is certainly simple and easy to charge a lead-acid battery. However, you should always keep an eye on the correct voltage limits. Choosing too low or too high voltage limit is bad as they can both negatively affect the battery itself. Moreover, a voltage limit, especially if too low, may lead to a buildup of sulfation, particularly on the negative plate – this could result in a poor performance. And if the voltage limit is too high, it helps improve the performance of the battery. Well, this is great, but grid corrosion is more likely to form on the positive plate. In addition, it might take some time to charge – it can take between 14 to 16 hours for it to completely charge. And if you want to store it, the battery should always be fully charged as having a low charge can possibly cause sulfation, which can badly affect the battery performance. There are many types of batteries out there, and this includes the lead battery acid. And now that you figure out how a lead battery acid works, you can now understand the pros and cons of using it. But one thing is certain – this type of battery works well with vehicles.